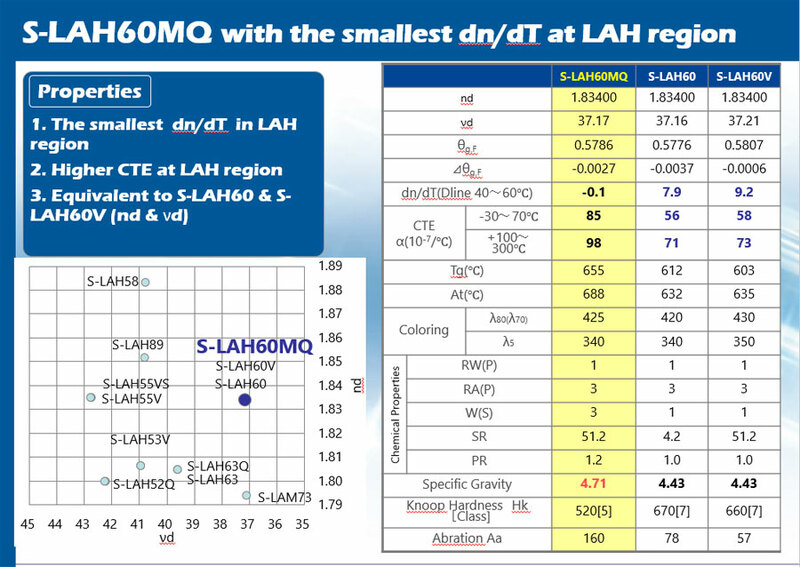 S-LAH60MQ is an optical glass with smallest dn/dT among current LAH glass types and high refractive indices. Since cars are used in environments where the temperature range can vary widely from below zero in colder climates to more than 50°C inside a car on a summer day, this can cause large refractive index fluctuations within the optical system. While a zoom lens can adjust for these refractive index fluctuations, fixed focused lenses are the most common within the field of Automotive cameras and the necessary adjustments would be nearly impossible. 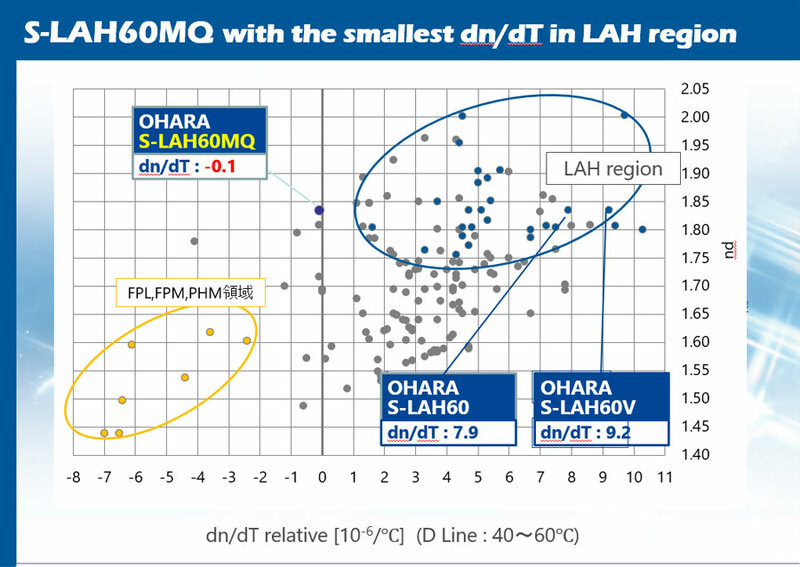 S-LAH60MQ has almost zero dn/dT, unlike many LAH glasses which have large positive dn/dT. 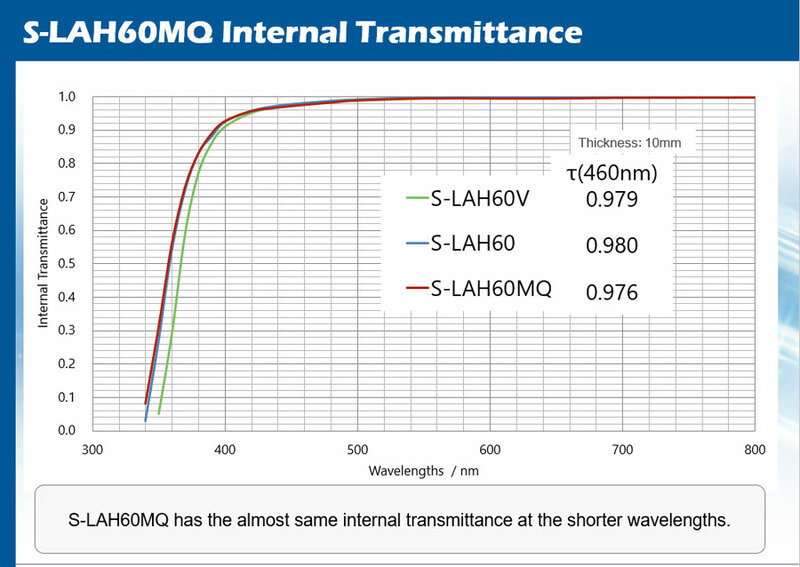 This makes S-LAH60MQ an excellent choice not only for automotive applications, but also Projectors, Interchangeable Photographic lenses, and various other applications.